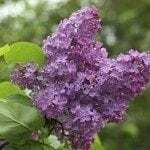 I have two lilac bushes and love to cut the blossoms to take inside. Does this hurt the tree/bush? Is it okay and if I cut some blossoms, how will this affect the bush? Yes, it is fine to take cuttings from your shrub for bouquets. It will not harm the bush in any way.